Today we will discuss double-ending, drilling down one level from dual-agency. If you recall last week’s blog post, dual-agency is when a brokerage represents the seller and buyer for the same property. Double-ending is when a licensee of that brokerage acts on behalf of the seller and buyer for the same property. Double-ending is a term used by real estate professionals indicating that a licensee will receive both sides of the commission in a real estate transaction—listing and buying. In the listing agreement, the total commission that the seller will pay is defined. The listing agent will determine the split to offer the co-operating or buyer’s broker. If the listing agent brings in the buyer, the agent will receive the entire commission. I can’t tell how many buyers will repeat the same myth, “if I work with the listing agent I will get a better deal,” assuming the agent will reduce their commission. Not going to happen. Either money or their brokerage will get in the way. Another rationale is that the transaction will be easier dealing with just one agent. I will concede that the transaction would be streamlined, but streamlined to whose detriment? An adage applies, “you don’t know what you don’t know.” One agent controls the transaction (the second reason agents like to double-end), no other thoughts or opinions exist. Here is what has to happen when one agent represents a seller and buyer for the same property. “A Fiduciary duty of utmost care, integrity, honesty, and loyalty in dealing with the (seller) (buyer)” is required by an agent. These words are prevalent throughout agreements and disclosures regarding the relationship between an agent and the principle they represent. So if an agent has a fiduciary duty to both the seller and buyer, equally, neither party has a dedicated advocate for their interest. Let’s look at a couple of simple examples. Of course, the first thought a buyer has is what should be my offer price. The buyer can’t ask the agent as that would violate their fiduciary duty to the seller. 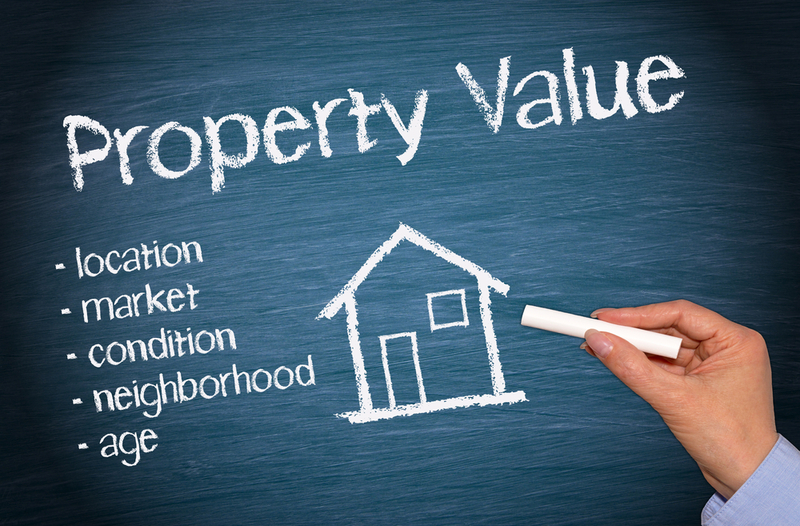 The agent should present the buyer with a Comparable Market Analysis as well as giving the same analysis to the seller. Hopefully, it is not biased. If it were, how would you know? Check Zillow? That’s not a prudent. Faith? Trust? As well, what does a seller do when multiple offers are received when one or more would result in their agent double-ending the commission? Will the agent give the best advice for the seller evaluating the offers? You would hope so. Those were some simple examples demonstrating that you better know what you are doing. The agent is not allowed to negotiate on either principle’s behalf, price or terms. My experience is a buyer, is either naïve, hubristic or a seasoned investor who will allow this agency relationship. Agents I know will fall on different sides on this issue. Some agents will forgo this relationship handing over a buyer to a different agent, and then there are those who attempt to double-end all their listings. In my opinion, there are two salient points to this conversation. Regardless of all the puffery, a listing agent will say to get the listing the seller only wants one thing—a buyer. The seller doesn’t give a rip who brings a buyer; they assume they will pay a full commission. The second, since the buyer is without the expense of paying a commission directly, why not have a dedicated advocate in what is, in general terms, an adversarial relationship? Not meant in a pejorative way. Many years ago when I was sitting in my first real estate course, the instructor, who happened to be a lawyer, stated that in California; For Sale By Owner and Dual Agency create the most lawsuits regarding real estate transactions. I have no proof this is true, only his word. Usually, it centers on the lack of or misleading disclosures. Dedicated advocates for each principle help provide the necessary checks and balances to help thwart these lawsuits. We are talking about a transaction involving thousands of dollars that you may only transact once every seven years on average. You aren’t negotiating over a widget at the weekend farmer’s market. States are struggling with this situation. On the one hand, the question lingers if it is anti-consumer with potential for fraud, and on the other, would transacting in the free market be stifled. Looking at comment boards on various articles relating to the subject, agents can become quite vehement in their opinions without consensus. One thing I do admonish, if you are a buyer and determined to use the listing agent for making an offer, please don’t waste a buyer agent’s time. Having them take you out to view neighborhoods is not fair and not appreciative of their time and expertise. They are not paid piecemeal for these activities. Most will demonstrate loyalty to the buyer and expect reciprocity. There you go. No cut-and-dry answers. Keep your money safe.